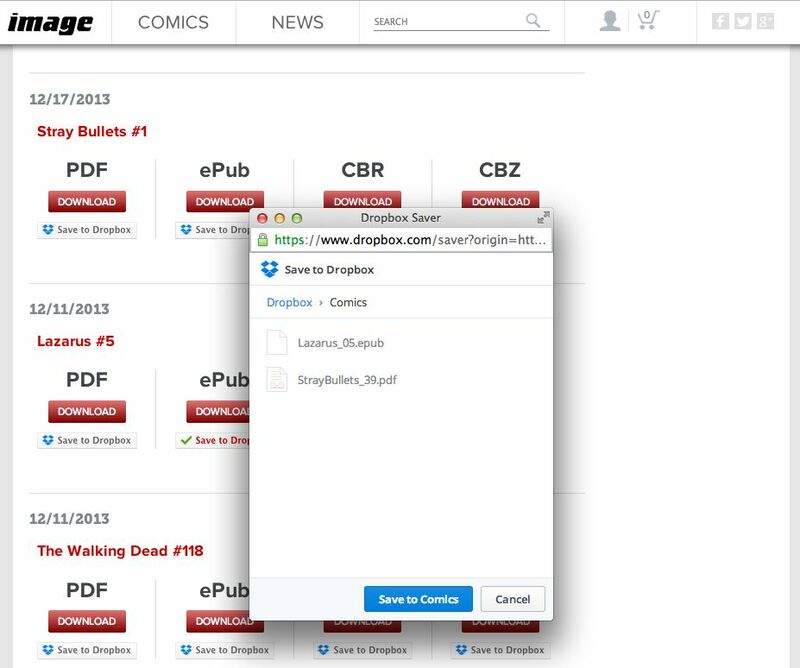 Reading Image Digital Comics just got easier with Dropbox Integration. 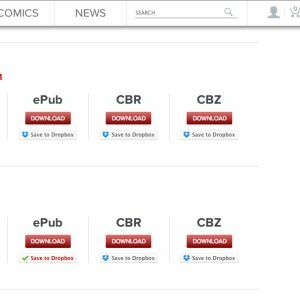 Now you can sync any of your Image Digital Comics, purchased here on ImageComics.com, to your Dropbox account with the click of a button. 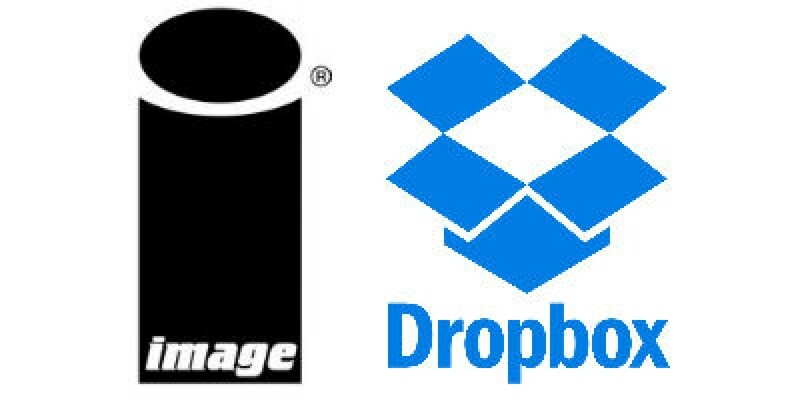 Keeping your entire library of DRM-free Image Digital comic files in order and accessing across all of your devices is a cinch with Dropbox. 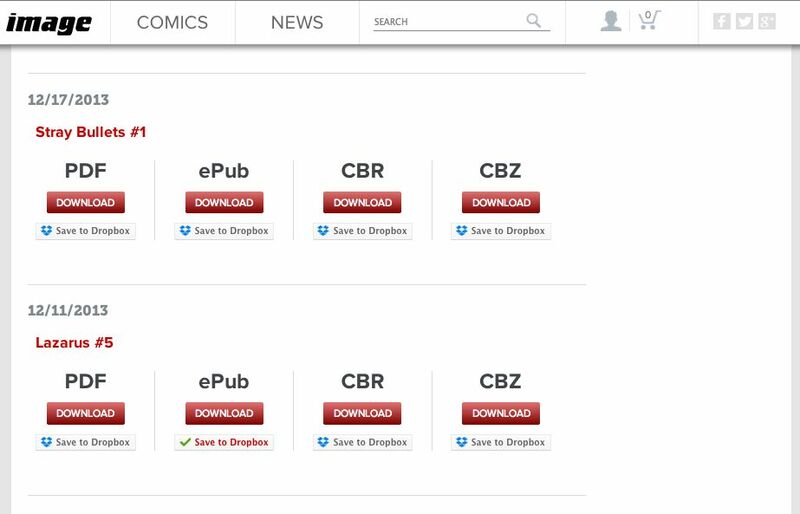 Now, when viewing your comics collection on the Image Website, you'll see a "Save to Dropbox" button. 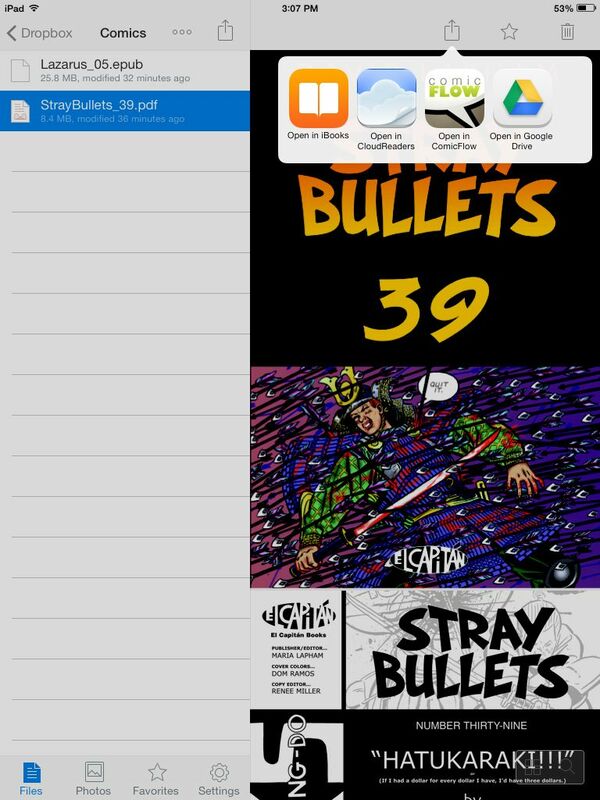 Click that, log in to your Dropbox account, and your comics are automatically saved to the folder of your choice. 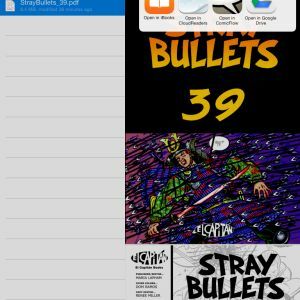 Once your comics have been saved, you can view them the integrated Dropbox Reader or open in your choice of digital comic reader apps on your iPad, Nexus, Kindle Fire, smartphone, laptop, or any of your digital comics reading devices. They're your comics; you own them. And now you have yet another way to store and access them, on the fly, from Dropbox.